Good News Israel! Israeli Tech Reunites Korean Sisters, McDonald’s Israel Improves Accessibility, and More! Israeli company MyHeritage reunites Korean sisters after 47 years; McDonald's Israel installs groundbreaking accessibility; and much more! Palestinians in Gaza prefer Israeli products, Ugandan president explains about Israel to Jewish leaders, and more! Good News Israel! Special-needs Israeli Band a Shoo-in for Eurovision, Jerusalem Celebrates Cultural Diversity, and More! Special-needs band frontrunner for 2019 Eurovision contest, Celebrating Jerusalem's mosaic of cultures, Israeli startup devises urban communal living, and more! Good News Israel! 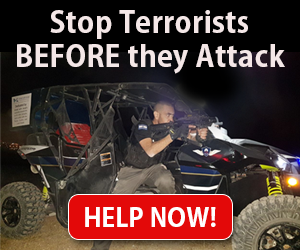 Israeli Team Conducts 1000s of Global Rescue Ops, Minorities in Israel Thrive, and More! Yehiel Magnus and his 15-person team conduct thousands of rescue operations, Israel is only Middle East country where all minorities thrive, and more! Good News Israel! Druze Reporter is New Israeli Anchorwoman, Israeli ‘Settlers’ Save Arab Boy – and More! Israeli-Druze Gadeer Mreeh is new anchorwoman for Israel Public Broadcasting Corporation; residents of Jewish city in Judea save Palestinian boy's life. Good News Israel! Israeli Caregivers Live in Dementia Patients’ ‘Shoes’, 60-Year Arab-Jewish Friendship, and More! Charity trains caregivers to feel empathy for patients with dementia; Jewish-Arab friendship started on soccer field, lasts 60 years; and much more! Good News Israel! Israel Teaches Modern Farming in Nigeria, Ben-Gurion U Saves Coral in Palau, and More! Israel to teach modern farming techniques in Nigeria, Hawaii bans sunscreen ingredient BP-3 thanks to Ben-Gurion University, and much more! More women claim victory in recent municipal elections; trailblazing college disability program helps Muslim, Christian and Jewish students; and much more! Good News Israel! Freedom of Worship for All Israelis, Coexistence for Jewish and Arab Kids with Cancer, and More! Netanyahu proud of freedom of worship for all Israelis, Summer camp for children with cancer cheers up Jewish and Arab kids, and much more! Israeli soccer helps color-blind fans; Miami gala supports Israeli doctors' humanitarian work; Jerusalem scores a goal for peace, and much more! Good News Israel! Israel, EU Battle Cybercrime Together; Syrians Thank Israel for Aid and more! Israel and Europe collaborate in battling cybercrime; Syrians thank Israel for humanitarian aid; Palestinian farmers attend Agritech Israel 2018 and more! Good News Israel! Israelis Train Yazidis in Medical Clowning; Israelis Collect Toys for Syrian Children, and More! Five Yazidis from Iraq receive training in Israel in medical clowing; hundreds of Israelis bring goodie bags for Syrian children on Golan border, and more. Good News Israel! Giving Back a Lost Childhood; How Israel Treats Palestinian Arab Children; and More! Volunteers take sick and bereaved Israeli children on surprise trips; Watch How Israel Treats Palestinian Arab Children, and more. Good News Israel! Arabs and Jews Celebrate at Sodastream; Muslims Fight Fires During Ramadan Fast; and More! Muslim EMS volunteers respond to huge fire while fasting on Ramadan. Druze Israeli IDF major general is the new Coordinator of Government Activities in the Territories and 200,000 Syrians are looking to Israel for assistance. Ahead of International Women's Day, President Reuven Rivlin hosted 22 outstanding female students (Jewish and Arab), and much more. Kids Kicking Cancer has enlisted 15 martial arts teachers to become volunteers, helping through free martial arts classes, counseling, and other kinds of support. US Second Lady Karen Pence champions Israeli art therapy; NASA featured a special musical tribute by the son of Israel's first astronaut, and much more. Israel ranked as the 8th-most-powerful nation; the Jewish state comes in 19th out of 180 for food security and nutrition, and much more. Three of Israel's top banks are currently led by women; Israel provides extensive humanitarian aid to victims of the Syrian civil war, and much more. 23-year-old Lian Najami is Israel’s first Arab Rhodes scholar; the IDF's ethnic mix includes a 19-year-old Muslim and immigrants from many countries. Two Israeli-trained Palestinian Arab doctors travel from Jerusalem to Gaza every two months to perform eye operations on local Gazans.